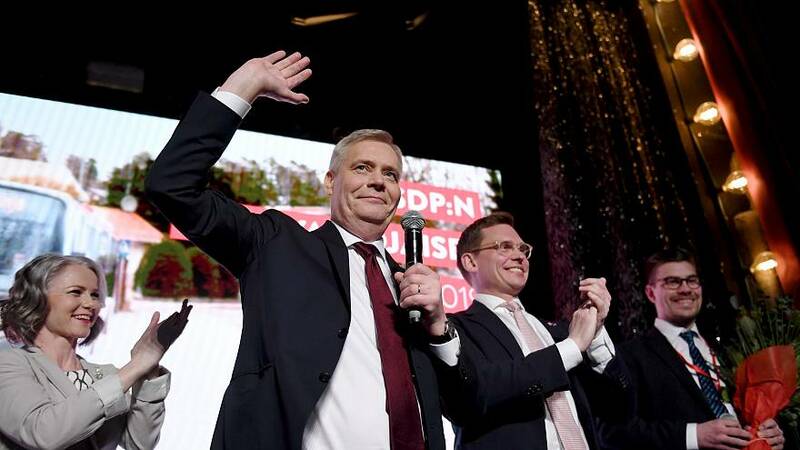 Finland's Social Democrat party edged out the far-right Finns party in Sunday's parliamentary election. The Social Democrats won 17.7% of the vote, securing 40 seats in Parliament. The nationalist party was just behind, winning 17.5% of the vote and 39 seats. The results mark the first time since 1999 that a left-wing party has secured the most votes in Finland's Parliament. The election highlighted Finnish concerns, including immigration, welfare and climate change. French President Emmanuel Macron will unveil policy changes on Monday night in response to yellow-vest protests. The address comes two days after protesters demonstrated for their 22nd consecutive Saturday. In a video shared via the president's Twitter account, Macron promised French citizens "profound changes" in policies. The European Union is moving forward with trade talks with the US despite France's lone attempt to derail the negotiations. The talks were initially stalled for a month due to France's demands that discussions should also focus on climate change. France's request to table climate talks is at odds with the US, which withdrew from the Paris Climate Agreement in 2017.